"The interaction of MYC with G9a is extremely important for MYC to drive oncogenesis. This is an important finding because it means that if we figure out how to target G9a, we could basically disable MYC activity"
A novel technology has helped a TFRI-funded multidisciplinary research team identify how a key driver of human cancer works, cracking open the possibility for new targets and treatments to stop it in its tracks. But despite three decades of research, scientists have been unsuccessful in identifying drugs that could inhibit it, partly because there was little understanding of how MYC actually worked. 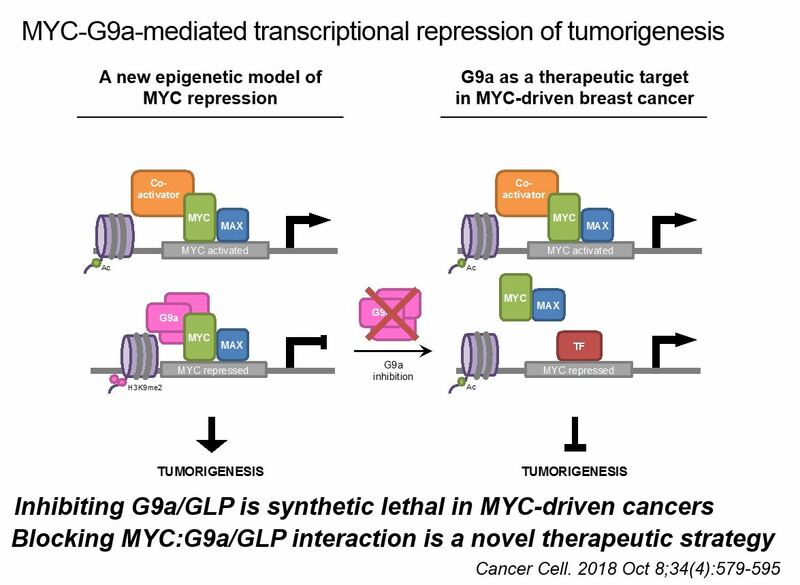 Now Dr. Penn and her multidisciplinary colleagues are closing this knowledge gap with a new study published in Cancer Cell (November 2018) that explains MYC’s interaction with a protein called G9a. “What we learned is that the interaction of MYC with G9a is extremely important for MYC to drive oncogenesis. This is an important finding because it means that if we figure out how to target G9a, we could basically disable MYC activity,” says Dr. Penn, the study’s senior author. An epigenetic regulator, G9a helps determine what bits of the genome are turned off or turned on. The study team found that when it interacts with MYC, it represses specific gene transcription causing cancers to form. To make this breakthrough, the team used a novel new technology known as BioID to identify all proteins that interact with MYC.